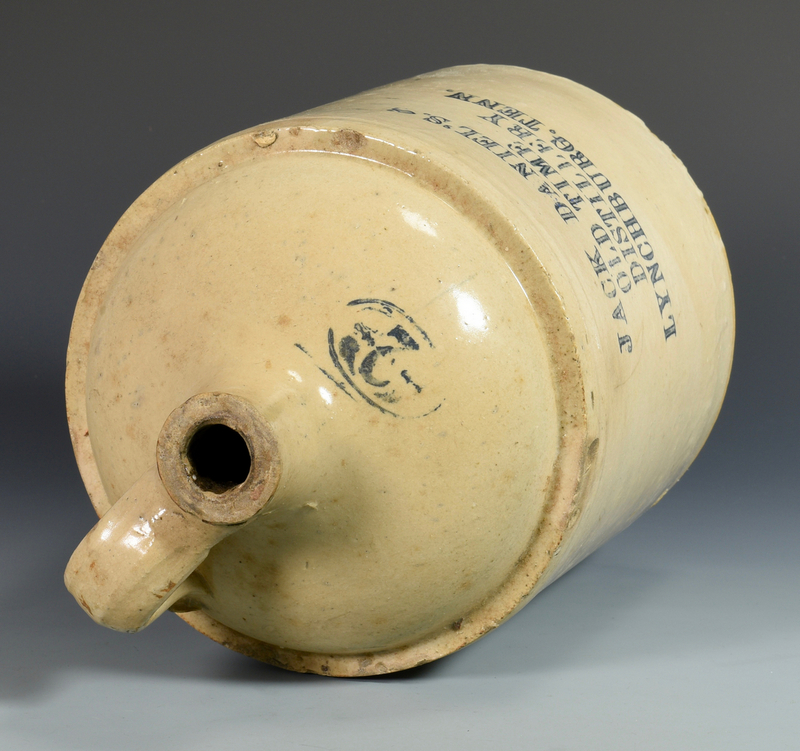 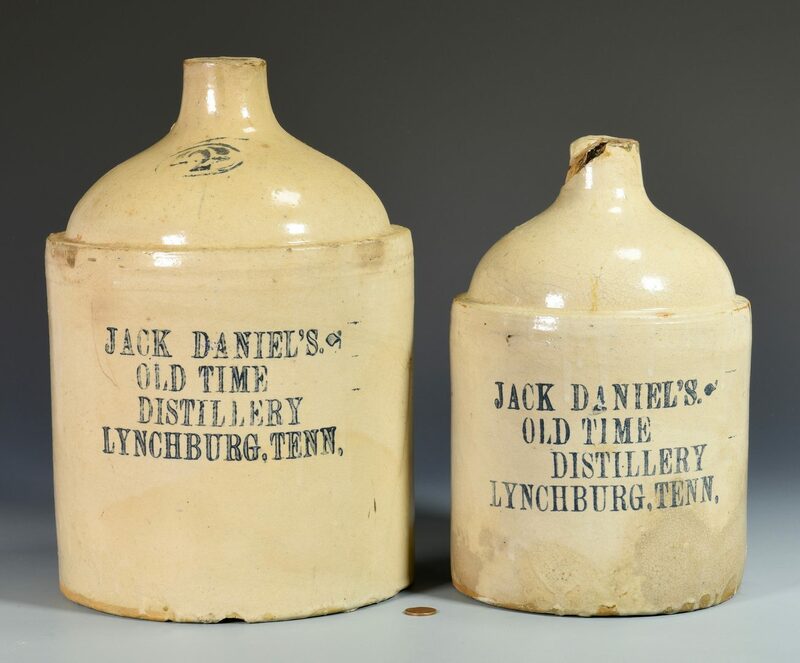 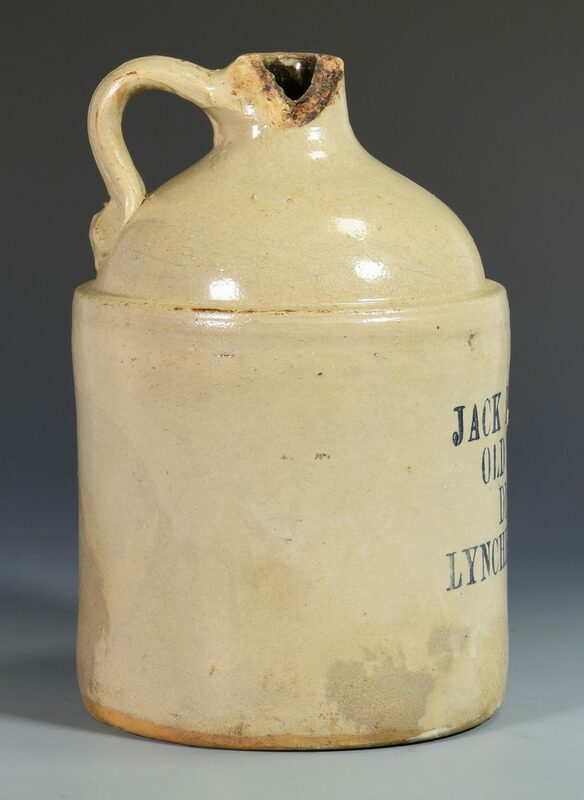 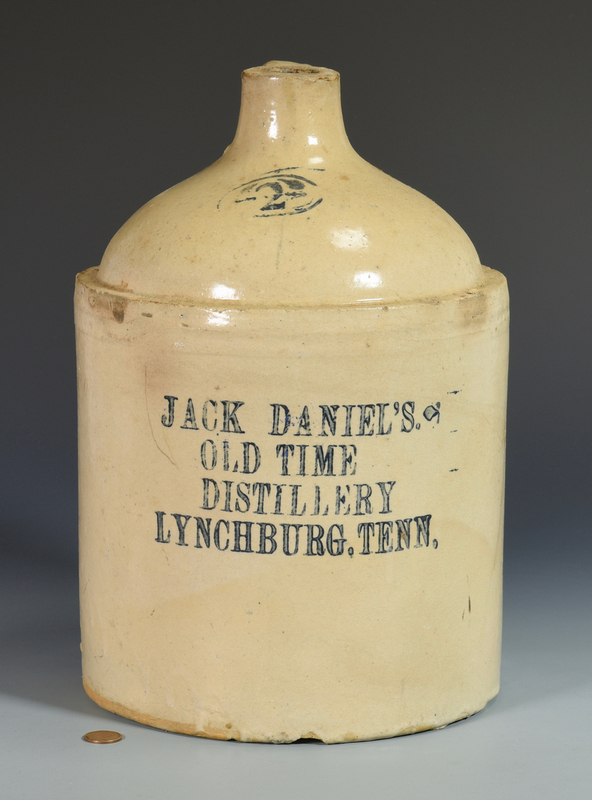 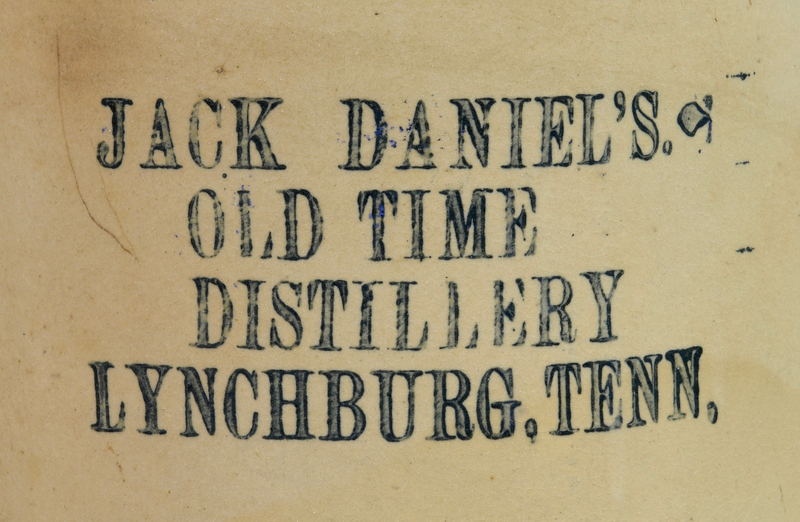 1st item: Jack Daniels 2 Gallon advertising stoneware whiskey jug with Bristol glaze and stenciled in cobalt on the body "JACK DANIEL'S, OLD TIME DISTILLERY, LYNCHBURG, TENN." with "2" on the upper neck denoting gallon capacity. 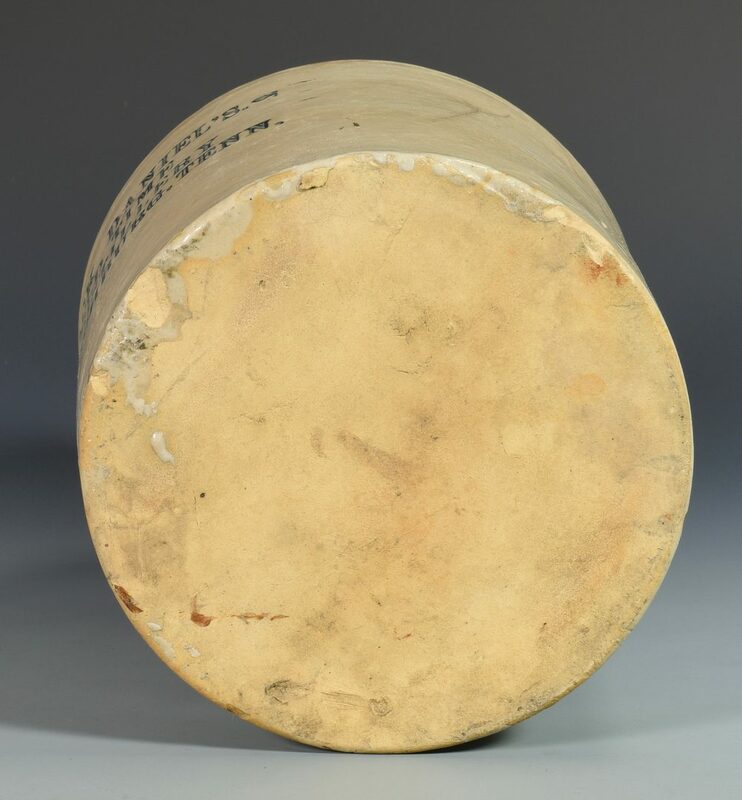 12 3/4" H. Circa 1870 -1875. 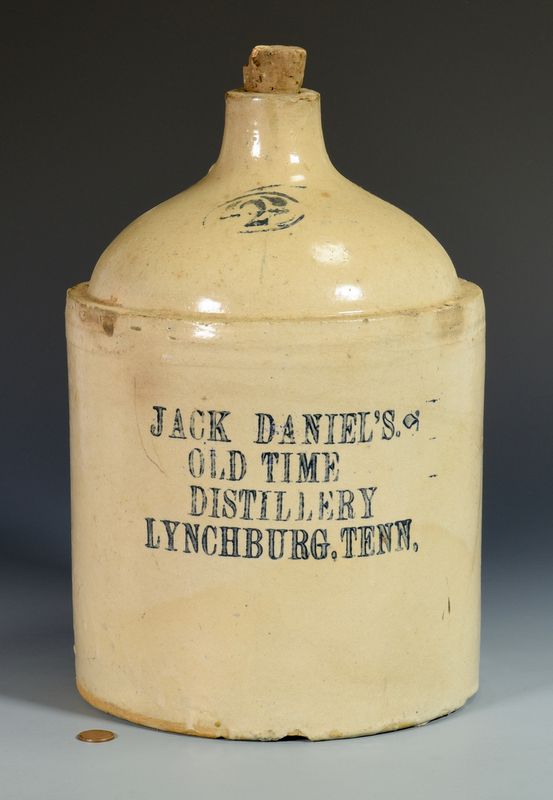 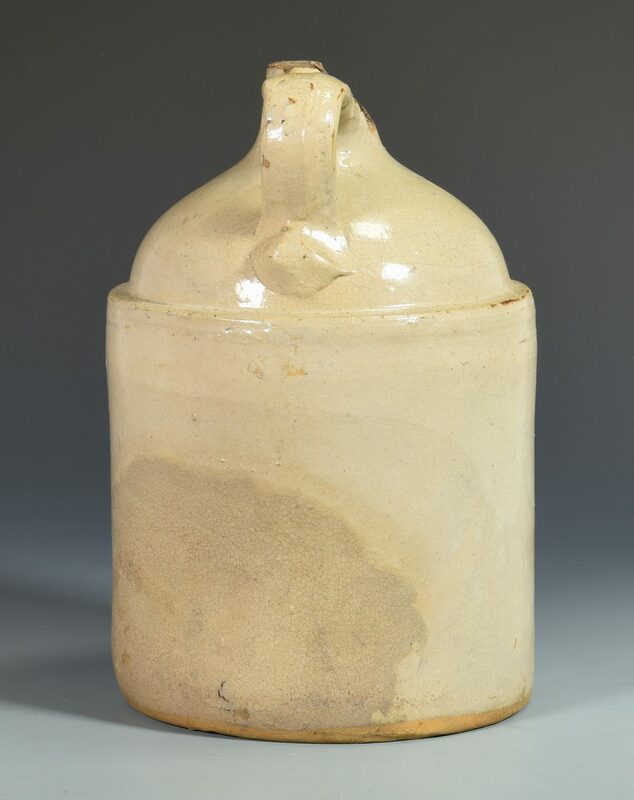 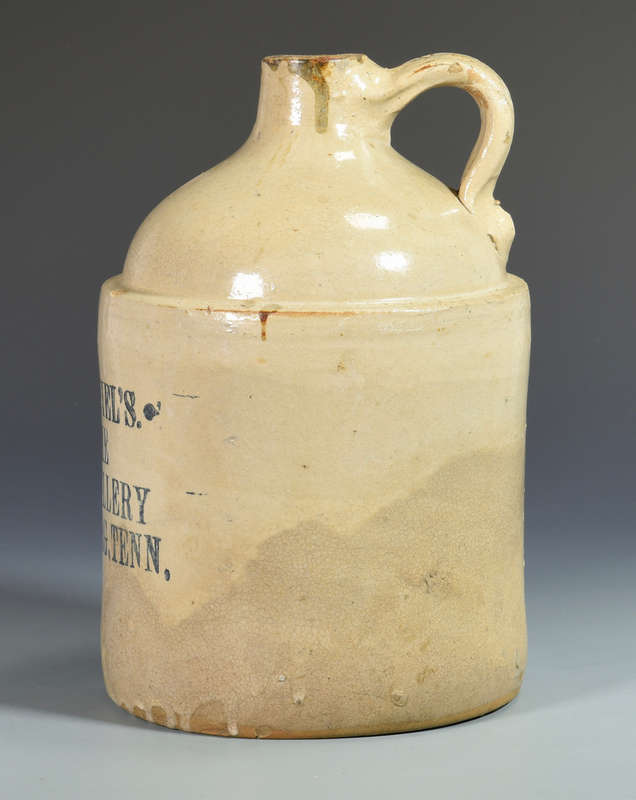 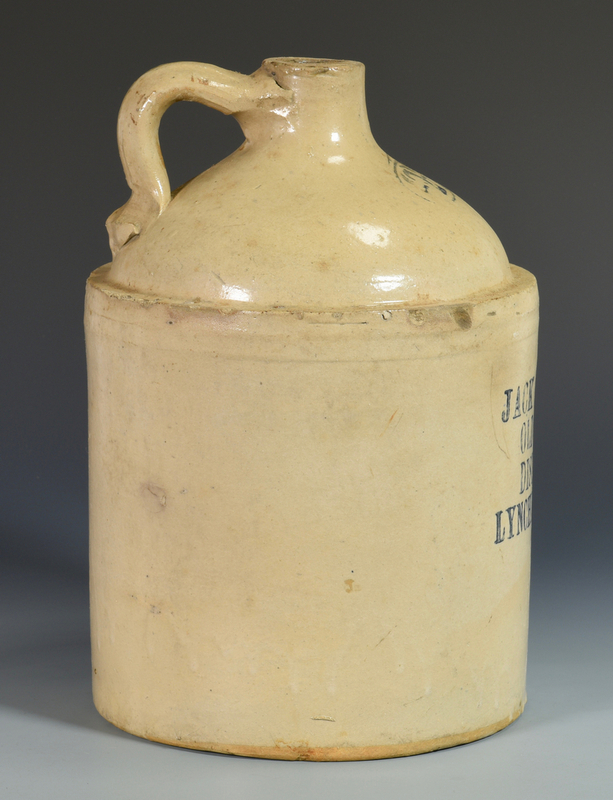 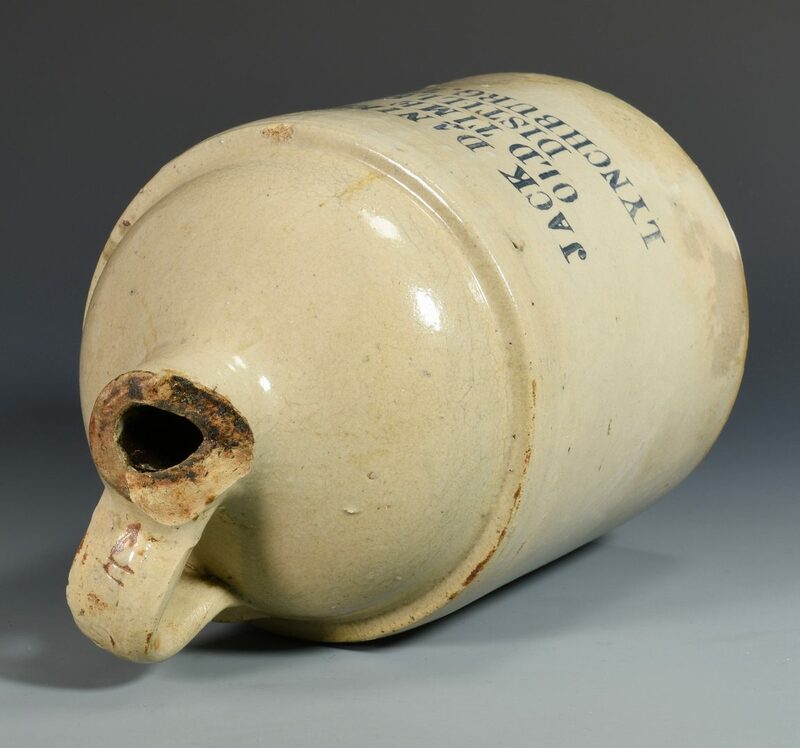 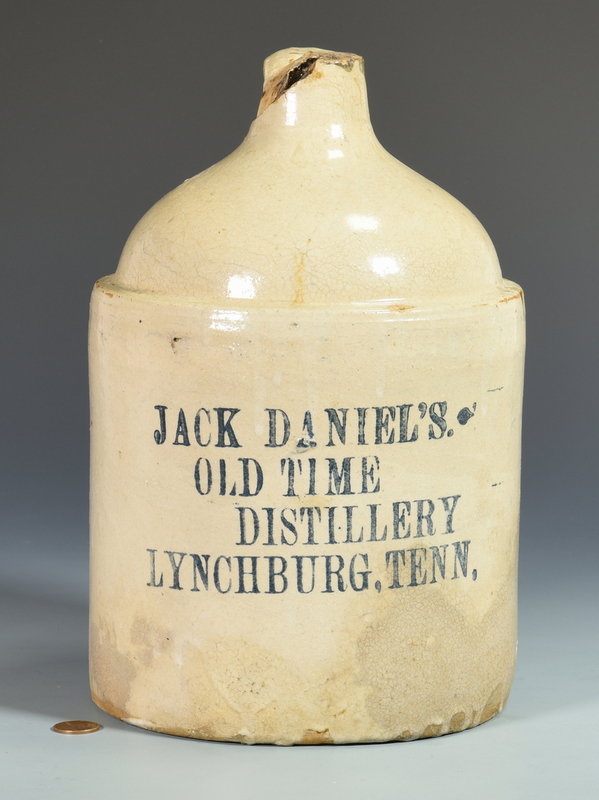 2nd item: Jack Daniels 1 Gallon advertising stoneware whiskey jug with Bristol glaze and stenciled in cobalt on the body "JACK DANIEL'S, OLD TIME DISTILLERY, LYNCHBURG, TENN." 10 1/2" H. Circa 1870 -1875. 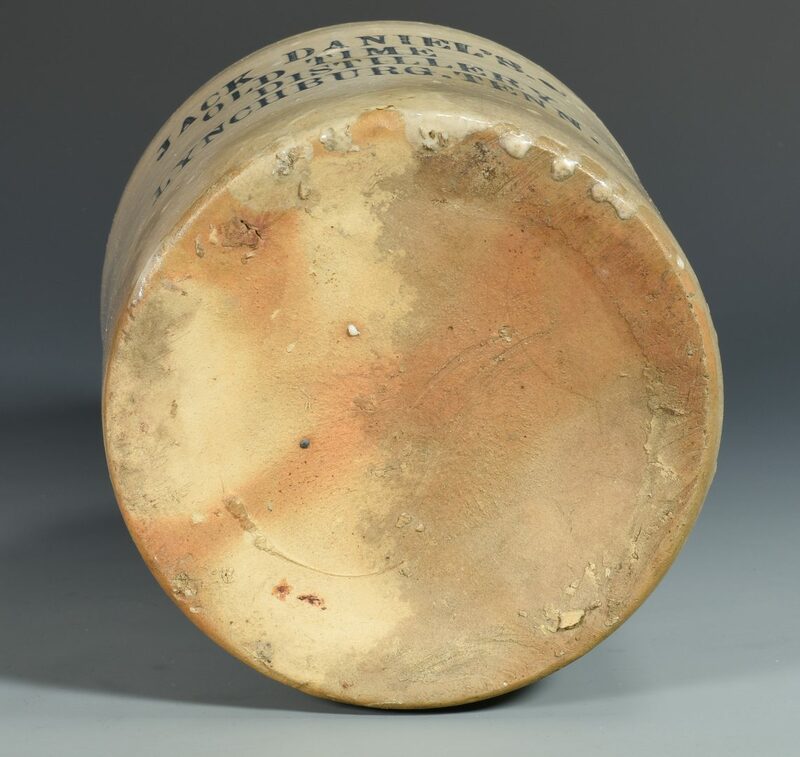 CONDITION: 1st item: Some chipping to rim, shoulder and base. 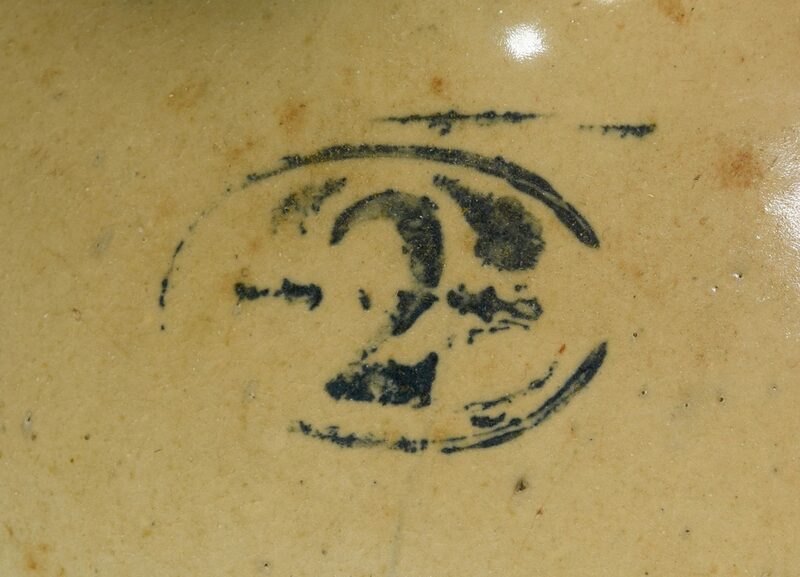 2nd item: Large loss/chip to neck and rim. 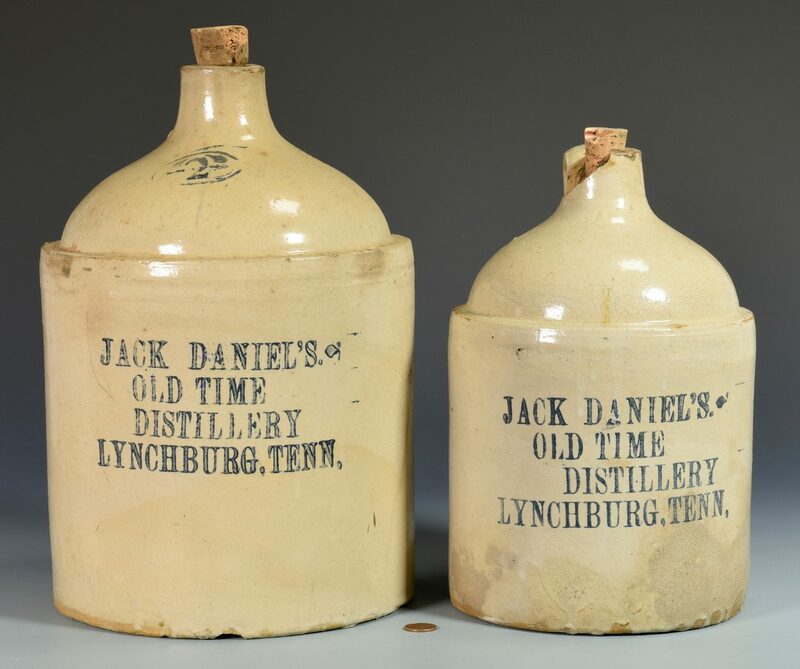 Minor fleabites to handle. 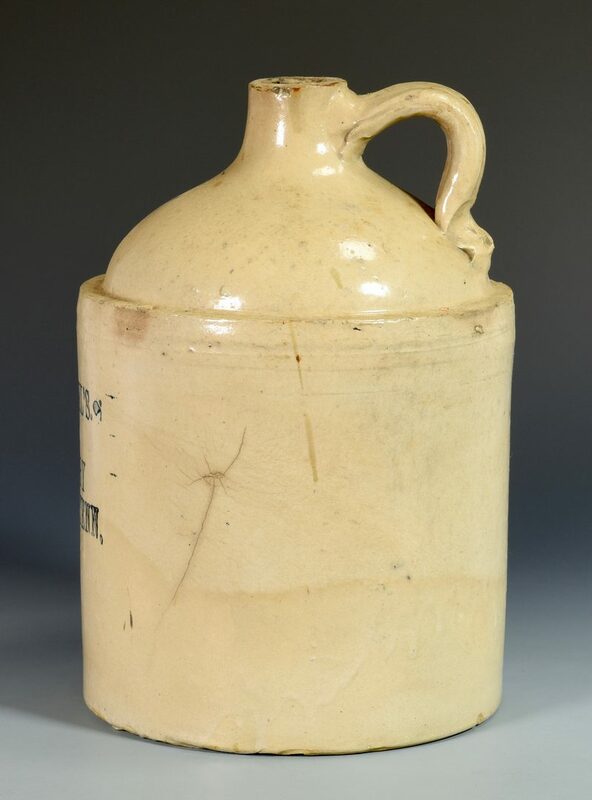 Overall craquelure to glaze with stain on lower body.